At the core of what I do is the concept of LEARNING. I work both with individuals in the context of formal and more informal classes, and I work with teams. In the classes I teach, it doesn't matter how much I've taught the students. What really matters is how much the students have learned. It's the difference between measuring activities (my teaching) and keeping an eye on results (what they've learned) or even impacts (what are they doing with what they've learned). There is nothing more rewarding than a student who tells me at some point in the course that they've done something different as a result of what they've learned in the course. It makes all the grading headaches vanish. Perhaps they've had a conversation with a colleague or they suggested a new way to do things at work. Sometimes it's a simple impact in their personal / family life. They've realized that Knowledge Management principles can be applied to many aspects of their life. Too often, our modes of teaching are geared towards making students "study" rather than "learn." After years of studying in traditional educational environments, they are not prepared to learn in the workplace. Professional development in a workplace environment is still primarily a matter of attending a conference or signing up for a class to get one more certification or some kind of electronic badge in recognition for participation in some form of training. As a result, many professionals fail to fully leverage the power of learning to enhance their careers and their lives in general. They fail to do so as individuals and they find it difficult to do so in a group or team context. Traditional studying and classroom-based learning do not emphasize learning from our mistakes -- or even from our successes. When the goal is to pass the test, students learn to pass the test, not to master the content that was on the test. The equivalent in the workplace, in the absence of regular testing of acquired competencies, is the traditional annual performance review. The goal, in this context, becomes making sure to impress one's supervisor with how well we've done in the past year to ensure that we do not get penalized with a lower raise than our peers (or no raise at all). Where is the incentive there to reflect on what we did not do so well, what we struggled with? Where is the incentive to learn and grow? How can we get past these learning challenges at the individual level and ensure some enhanced learning within a team? 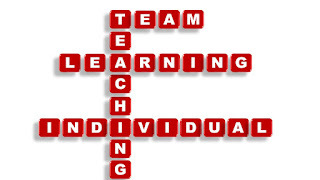 Stop treating individual learning and team learning as so separate and distinct that they are handled by different departments (HR, KM/Business units). See "From Individual to Team Learning." Help individuals reflect on their individual lessons and bring those individual lessons to the group in a safe environment. Writing a lesson learned sounds like a simple exercise on the surface but writing a useful lesson requires more work. Help the group think of group learning not just in terms of the aggregation of the lessons of individuals within the group, but learning that applies to the entire group. There is always an "I" and a "WE" in groups. Neither should be ignored. Discuss the issue of lesson ownership at the individual level and at the group level. See "The Ownership of Lessons." We Still Need Lessons Learned: Part 2: The Value of a Lessons Learned Activity is in the Transformation of Tacit Knowledge into Explicit Knowledge. We Still Need Lessons Learned: Part 3: The value of lessons learned activities is not in the individual lessons themselves sitting in a database but in the aggregation of lessons. Anatomy of a Aha! Moment. Ask about my newest course offered through George Mason University's Executive and Professional Education Program (and through corporate training programs): Knowledge Management in Project Environments. The course touches on a lot of issues related to team learning.